Fox TV drama Empire actor Jussie Smollett plays Jamal Lyon, a gay character, on the show. 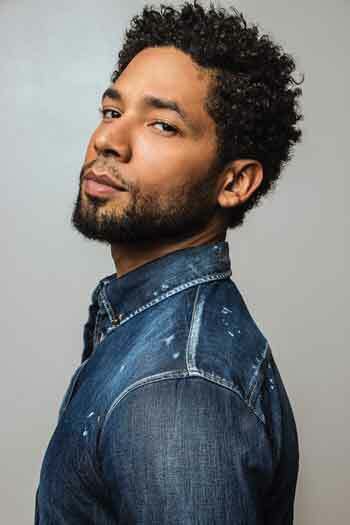 In real life, Smollett is an African-American gay male. Smollett has been charged with concocting an elaborate racist and homophobic assault against himself. Smollett’s fan base, needless to say, is flummoxed. So, too, are many Americans trying to push through this deeply polarized moment. The big question now is how Smollett’s case will affect public perception of hate crimes, especially impacting people of color and LGBT communities. “Jussie has essentially set back the progression of both black folk and the LGBTQ community all while playing right into the hands of MAGA,” one online comment stated. On first hearing the story, Smollett had a groundswell of support. The actor said he was assaulted by two men outside of Subway in the wee hours of the morning who shouted “This is MAGA country.” He said they put a noose around his neck. The investigation has disclosed the following: Smollett knew the two men, who are Nigerian-Americans, one has appeared on the show Empire. The rope to make the noose was bought at a nearby hardware store. And the bruises on his face and body were self-inflicted. Smollett paid the two men $3,500 to attack him. However, the evidence reveals that Smollett’s payment, according to what he wrote on the memo line of the check, was for a workout and nutrition program. Smollett’s hoax dredges up the country’s horrors of lynching and gay-bashing. 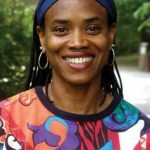 For me, three hate-crime incidents came to my mind immediately as an African-American lesbian: Emmett Till, James Byrd, and Matthew Shepard. Emmett Till was lynched in Money, Miss., in 1955 and James Byrd in Jasper, Texas, in 1998. Byrd’s killing was called a “lynching-by-dragging.” Matthew Shepard was gay-bashed to death in Laramie, Wyoming, in 1998. I give thanks to President Barack Obama for signing into law in 2009 the Matthew Shepard and James Byrd Jr. Hate Crimes Prevention Act, also known as the Matthew Shepard Act. Nonetheless, Smollett is innocent in the eyes of many African Americans—straight and LGBT. Despite the many inconsistencies and gaping holes in Smollett’s story, there are communities of people of color in urban cities that have every reason not to trust the police findings — especially the Chicago PD. It is a city still recovering from the wounds of the coverup shooting for Laquan McDonald. In 2014, McDonald, 17, was fatally shot 16 times by white Chicago police officer Jason Van Dyke. Van Dyke reported his life was in danger because McDonald was packing a small knife with a blade. Van Dyke’s report was backed up by his fellow officers. However, when the police dash-cam video was released of the shooting, McDonald was walking away when he was shot. In many of these communities, Smollett is perceived to be innocent. They believe his chances of getting a fair trial are not possible. Smollett will be seen as another victim heading toward the country’s industrial prison complex, which disproportionately incarcerates men of color. Regrettably, Smollett’s hate crime will affect public perception of hate crimes. But it shouldn’t. There has been an uptick of bias-related incidents and hate crimes since Donald Trump has taken office. We have seen a rash of white people calling the cops on blacks, synagogues defaced, and 11 worshipers killed in Pittsburgh. Smollett’s hoax no doubt has tapped into our fears about our safety, and our concerns of a country so polarized that we are imploding. However, all reports of hate crimes should be taken seriously. One perceived hoax is no excuse for law enforcement not to do their job. They need to see each case as a separate incident irrespective of the court of public opinion. The belief that Smollett’s actions make it bad for people of color and LGBTs to come forth in the future with their reports of hate crimes buys too easily into the notion that “one bad apple spoils the whole bunch.” Such a belief, in and of itself, is bias. It suggests that people of color and LGBTs are a monolith, and all perpetrate hoaxes. When whites call cops on black people for “being black,” each case is handled individually, although the police might have suspicion for the real nature of the call. In the court of opinion, Smollett is guilty. However, if in the court of law, Smollett is found guilty, he does not fully grasp the magnitude of both his lie and crime. His actions dishonor black activist and journalist Ida B. Wells’s Anti-Lynching Campaign that took afoot in the 1890s. This year will be the 80th anniversary of Billie Holiday’s recording of “Strange Fruit,” a protest song against lynching. And, just last year, the National Lynching Memorial opened to remember and honor the lives of men and women who were victims. Sadly, in 2019, the U.S. Senate still has yet to pass legislation that makes lynching a federal hate crime. Smollett may well have suckered us all. However, to not take each report of a hate crime seriously, because of his fraudulent actions, would be a crime too.